A little while back, I read an article by big time photographer Jack Alexander. While Jack Alexander I am not, his thoughts on doing a few unpaid photography jobs just to spark creativity and increase the exposure of my work really appealed to me. 2015 has been a year of major growth for me as a photographer. I find myself relaxing into my groove more, nailing things I used to struggle with, and, as a result, meeting clients I really want to work with. My visions are becoming easier to execute, which is an amazing feeling for any creative person. All of that said, there are still so many things I want to try. I'm a person who thrives on variety and mixing it up, so I decided to seek out a few little projects to inspire me and get my creative juices flowing. That objective is what lead me to Dear Paperie, run by tenacious hustler, Tina. Dear is a budding (pun intended!) business specializing in various paper goods, but specifically in handmade, hand painted paper flowers. I dropped Tina a quick line and asked if she'd ever want to collaborate and create some pieces to shoot so we could both use the images for our portfolios. She was tickled, and we immediately started putting our (incredibly similar) brains together to plan a shoot with lots of models. In the midst of doing all of that, we exchanged a few of her pieces so I could play with photographing them in a studio-like setting. Anyone who follows my Instagram (@stayhomewithme) knows that this is right up my alley. I had a great time working with her holiday creations (so soft and beautiful without screaming OMG CHRISTMAS!) and thought as a little Christmas Eve treat, I'd share some of the shots with y'all. Stay tuned, because in Part II of this post, I'm going to share our styled shoot with lots, lots more of her beautiful creations. If you're interested in having Tina create something for you, you can find her at hello@dearpaperie.com or at http://www.dearpaperie.com/. Good morning, everyone. I'm here to share Jess and Tony's engagement with you today. I could photograph these two from dawn to dusk! They have amazing chemistry and I loved talking and laughing with them. Although I'm already booked on their wedding day this September, I wish them the very best because these two are just a dream. Thanks, Tony & Jess! Hi guys! Just dropping in to share a beautiful fall wedding with you all. Rob and Heather got married at Blue Mountain Resort on the most blustery and beautiful October day as all of the leaves were bursting into color! The venue and the beautiful, rich colors the bride chose were the perfect compliment to their sweet love story. Enjoy a peek at their day! Hello again! I always have a bunch of family inquiries for fall/winter portraits! It's a crazy season for me, and this mama wisely picked a date far in advance to get her whole family together. We rolled the dice on the November weather and came up lucky with the prettiest, cloudiest, Novembery-est day. This isn't my first time working with this sweet and gorgeous family of three, and I was really excited to play and have fun with them once again! This time, auntie and grandparents joined us to get one big happy family picture. Prophecy Creek Park was the perfect backdrop and we had the best time. I hope you enjoy this peek at the R family's images! Everyone, I am so far behind on blogging, oh my gosh! This family had me do their session so long ago, and I am just now getting around to sharing some of it with you. 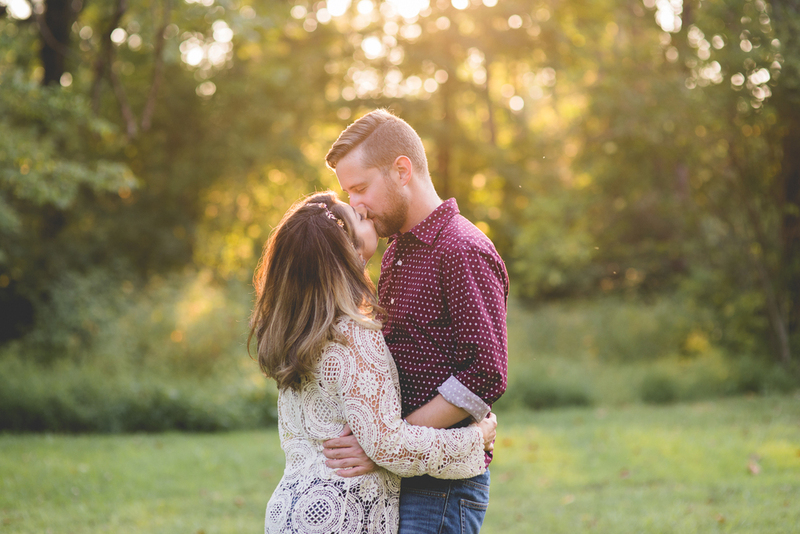 I hope you enjoy their pretty, early-fall morning session at Norristown Farm Park! It's been a very productive weekend over here, friends! And by "over here" I mean "in front of my computer." We wrapped a wedding yesterday and today, I'm working on finishing up this lovely engagement session I'm sharing with you now! Everyone, this is Chelsea and Ian. I'm good friends with Ian's stepmom, Jackie, and I've known (and photographed) their family now for several years. When Ian and Chelsea met, I remember running down the hall to Jackie's classroom and saying "when they get engaged some day, I'd better be shooting the wedding!" Quite thankfully, my wish came true! Next June, these two will tie the knot at Stonebrook farm in Perkasie, PA and Dave and I will have the pleasure of capturing it all. Anyway, without further ado, here is their engagement session. This couple is just so beautiful and fun. Ian has the best smile, and Chelsea is the kind of person who exudes light and good energy. She brought every prop and accessory to this shoot and I think it reflects her personality, and the relationship both she and Ian share so perfectly. I loved capturing them together and I couldn't be more thrilled to share their beautiful session with all of you! Hi everyone! This blog is a long winded one, so prepare yourselves. I'm good at lots of things, but being brief isn't one of them, especially when it comes to old friends. When I was out with my best friend the other day, she told me she was impatiently waiting for me to blog this wedding. The problem I was having was that I could not for the life of me narrow down the pictures I wanted to share from this incredibly special day. That said, a month has passed and I'm still unable to choose favorites. That also said, prepare yourselves for a massive overshare and lots of sappy emoting. I don't often have to take my camera away from my eyes to wipe tears away, but this wedding was that kind of day. When Andrew and Julia asked me to photograph their wedding, I was more than excited. I was honored. Andrew has been a dear friend of mine for over a decade. While life has taken us in very different directions from our beginnings in high school drama club, we have (through the world of weddings!) been lucky to reconnect. I've enjoyed seeing my old friend more frequently this past year, and moreover, I've enjoyed getting to know the lovely Julia, who is truly his perfect complement. These two are just the kindest, most genuine couple. From their gorgeous ceremony in an apple orchard, to the bride's stunning dress, right down to the groom's heart-achingly beautiful vows, this day was incredible. I'm so thrilled to share some of it with all of you. Congratulations, Andrew and Julia! All our love! I'm on a roll today playing catch up with these summer sessions. Little known (or maybe widely known!) secret, I adore shooting engagements. Love them. I think I've mentioned this before, but there's something so amazing about capturing the intimate connection between a couple in love. I remember the excitement of planning my own wedding, and whenever I photograph one, I enjoy the texts and calls and emails I share with my brides leading up to the big day. The fun thing about an engagement session is that you can really capture the essence of a couple's joy without having to whisk them off to a reception or cocktail hour. You just get to know them and laugh with them and get to really forge a bond with them so that on their wedding day, you're all so comfortable with each other that the poses and natural expressions come effortlessly. Tangent aside, I enjoy spending time with every couple I photograph and I love the laid back nature of engagement sessions. This is Troy and Christine, who we adored spending time with in July. We're shooting their wedding this coming April and couldn't be more excited. Everything about this couple was so much fun... right down to their fresh pairs of Vans! I hope you enjoy this peek at their session as much as we enjoyed shooting it! I'm sitting here with a cup of tea on the first officially "chilly" day I can remember in a while! We have been really busy over here with the beginning of school and lots of shooting. I've admittedly become a true slacker on this blog, so I thought I would drop by and share a little maternity session we shot over the summer! Jeremy and Amanda are really special to us. Jer was the best man in our wedding and has been my husband's closest friend since elementary school. We were overjoyed to find out that he and his wife Amanda were expecting not one, but TWO babies, both of whom were born healthy and beautiful just two weeks ago. After stopping by to meet their new additions (Brynlee and Lucas) yesterday, I felt inspired to show off some of their sweet maternity photos from July. Congratulations, Jer and Amanda! Guys, this shoot pretty much encompasses everything great in life, so be warned. There's gorgeous golden light, there are cocktails, and there is ice cream. I absolutely loved everything about working with this couple, and I really can't wait another second to share a glimpse of our night with you! Dan and Kayla are friends of ours. It seems like a million years ago, but we met Dan through some of Dave's creative endeavors as a drummer. Dan and Dave were in a band together for a little while, and when the band became more devoted to touring, Dave passed the sticks on to his younger brother Ans. From sharing that same social circle, I've gotten to know Kayla as just the sweetest, most stylish girl! Dan and Dave still keep in touch and work on music together, but we rarely get to line up schedules and hang out, so when Kayla contacted me to photograph their wedding next June, I knew we had to do an engagement session together. Often, I'll suggest that a bride and groom choose somewhere special and meaningful to them to have their engagement photos taken. Kayla was immediately full of great ideas, and she and Dan chose the Bethlehem Rose Gardens (close to where they used to live) and The Cup, which is the greatest little kitschy ice cream place in Bethlehem. Both of these places were really special to them and I was so thrilled to capture their photos in two totally different settings. We even had time to stop for a cocktail at The Mint between the gardens and The Cup, as we wanted the full effect of The Cup's neon signs at night. It was a perfect and relaxing night with friends and I am in love with every photo we captured at their session. Thanks for choosing us, Dan and Kayla! Can't wait for your wedding! Happy Friday! I thought this afternoon as you all change from work clothes to jeans (or yoga pants, no judgments here) and scroll through your social media that I would share last weekend's lovely engagement shoot. Tom and Thelissa, who are getting married next month, wanted to do an early morning shoot at the Steel Stacks in Bethlehem. I hadn't met them before but I'm so glad I did! Shooting with them was a dream. Thelissa was a confident beauty who was so relaxed and happy in front of the lens and Tom was her perfect complement, with his sense of humor and ability to make her laugh throughout our shoot. Their love for one another and their chemistry was so evident. When Thelissa contacted me, she mentioned that it was very important that they include their beloved dog in their shoot, and I was so excited. We moved on to Monocacy park for some casual shots, and were able to capture a sunny Saturday walk with their sweet pup Pandora. These images are extremely genuine, and I love how at ease this couple was. They were a dream to shoot! Best wishes, Tom and Thelissa! I have no doubt your life together will be as lovely as the both of you.